Ok, so maybe that’s a bit strong of a statement, but it is a great push block. This push block allows you to feed stock through a table saw on both sides of the blade, parallel with out any slipping. One of the sides is 1/4 wide, the other is a 1/2 inch and there’s an adjustable center foot that can be slide to the left or right to make way for the blade. On the bottom is a great gripping surface that will find positive grip on just about any surface, well every surface I’ve used it on anyway. It also comes with an adjustable foot that can put on either side so if you’re cutting narrower stock, the block will stay flat and not rock. I have two and use them pretty much with every tool that requires a push block (i.e. table saw, router table, joiner). I feel perfectly safe when I use these blocks when ripping narrow stock on the table saw, my only complaint is the price, they are a bit high, but for possibly the last push block you’ll ever need to buy, can you put a price on safety? I also have 2 of them, and they work very well, and much safer than all the other push blocks I have. I Love the one I have. Got my wife to buy it for me for Christmas. -- Jimmy, Oklahoma "It's a dog-eat-dog world, and I'm wearing milkbone underwear!" This is just about all I use. It is a very safe. They even have a video showing you all it can do. It was one off the first things I bought in the US. I too have two GRR-Rippers. I’ve had them for over 5 years now. Just to let you know… they now have an attachment to allow 1/8” strips to be cut. I haven’t boughten the attachments yet,since my GRR-Rippers would need to be modified to accept the new plates (or spend more money to correct. I have one and it is invaluable for ripping thin strips. Worth every penny. I have had one of these in my hands several times during visits to Woodcraft….but never bought one. It looks nice but like you said a little pricey, but the quality felt good. They are definitely worth their cost. Quality is always the way to go. I have one I bought about a year ago and it is a big improvement over my shop made version. 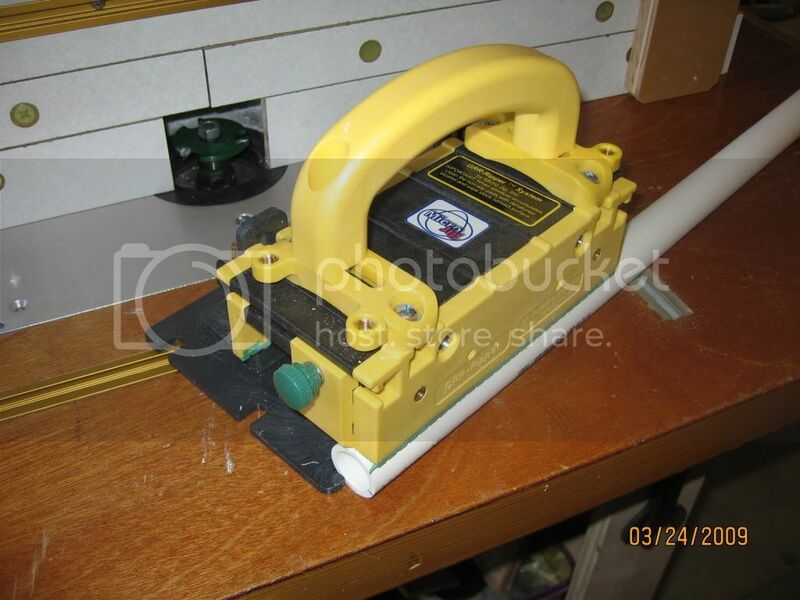 I have to cut a slot in a PVC pipe and this provides me with a safe way to do it. Simon, I like that idea. Just got one, and I love it, you can also make a jointing bridge that seems to work well. the instructions are included in the package. I recently saw a really nice home made version of this gripper system somewhere. I just can’t find it though. I have been searching for an hour now with no luck.